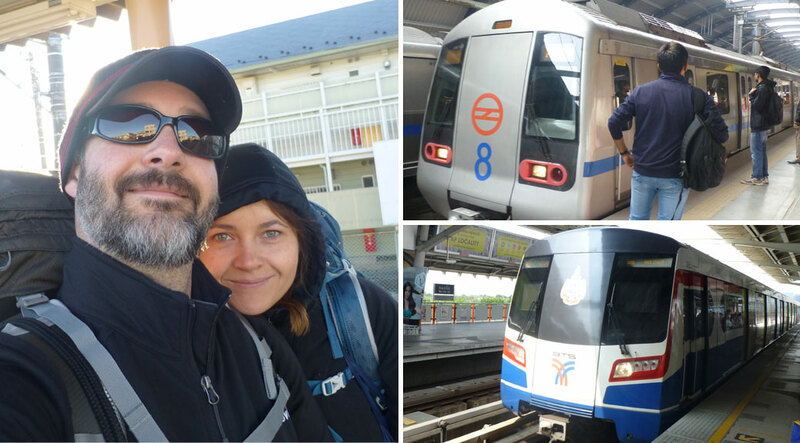 Over the course of a month of traveling, you’ll end up using a lot of different types of transportation. 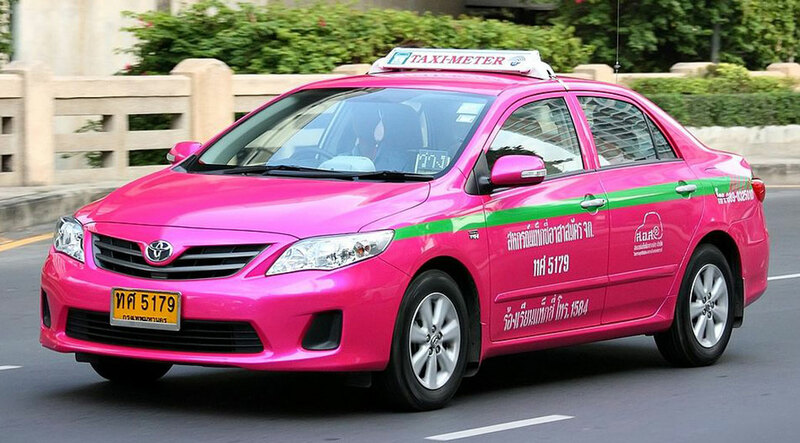 Obviously, there’s a bunch of taxis and buses, but southern Asians use a variety of different transportation methods as part of their daily lives. 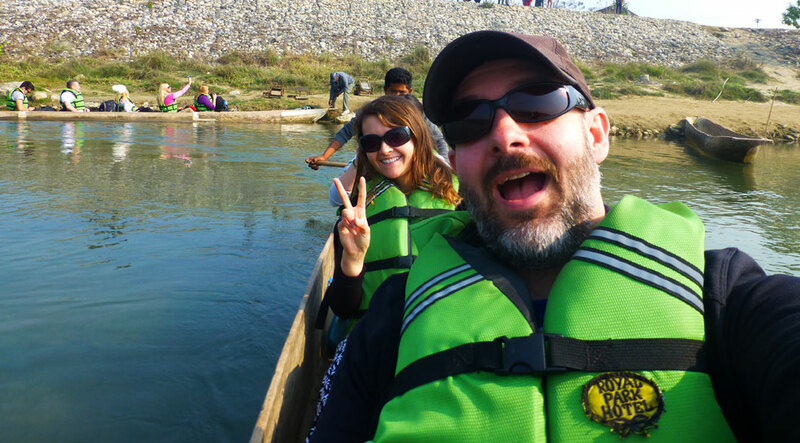 Here’s a sampling of how we got around India, Nepal and Thailand. 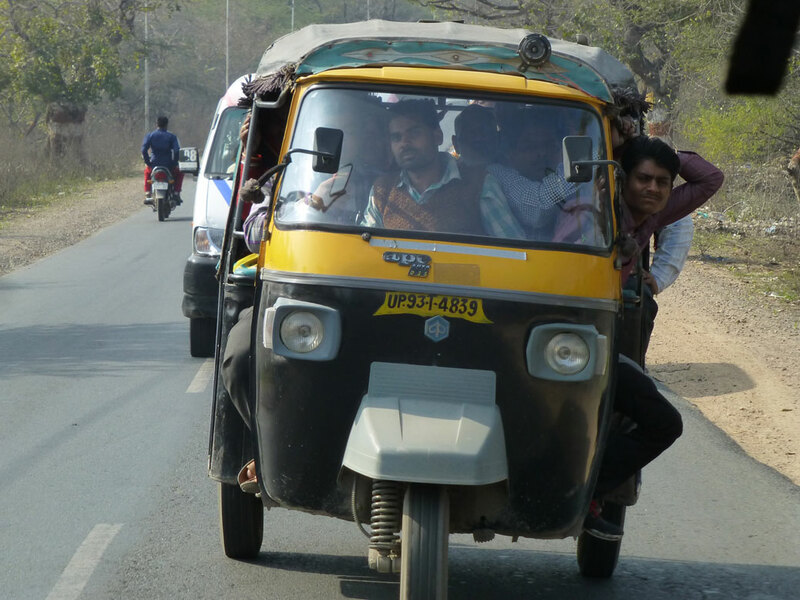 Tuk-Tuks or auto-rickshaws are a common way to get around in southern Asia. 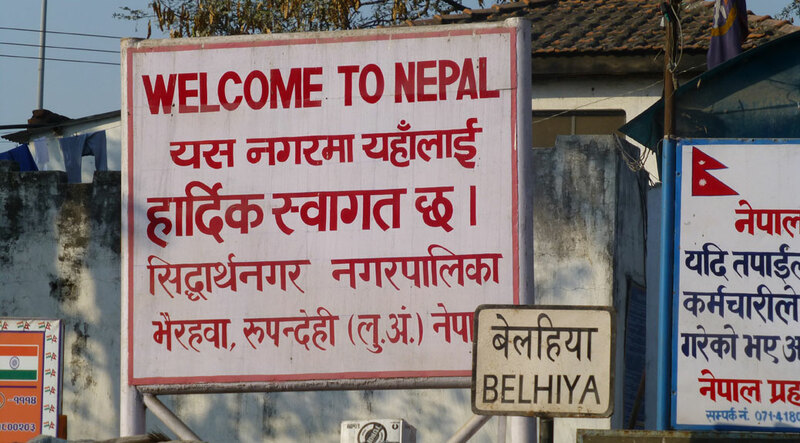 We used them frequently in India and Thailand. 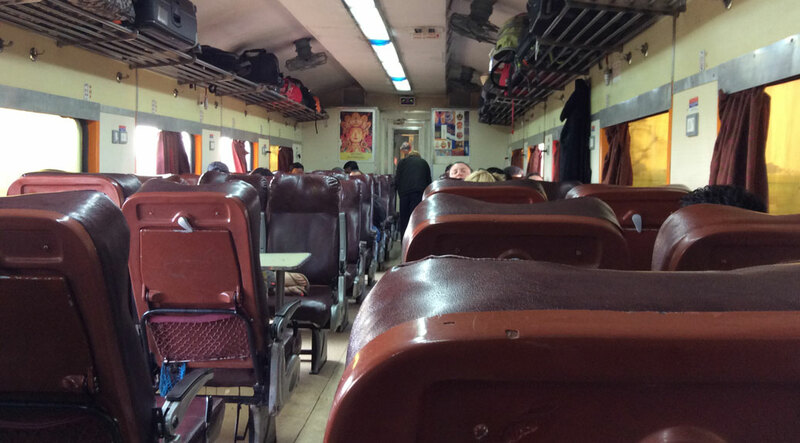 Business class seating in a passenger train from Agra to Jhansi in India. Pretty comfy and clean. 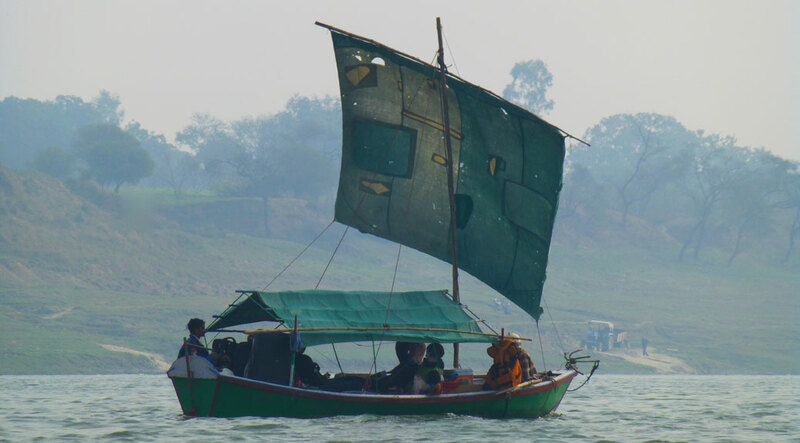 On the Ganges River in Allahabad, we drifted in sailboats to a remote beach where we camped and played cricket. 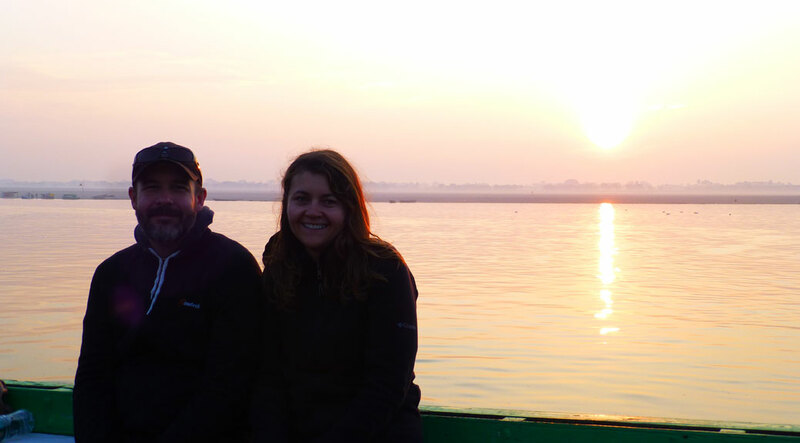 In Varanasi, India, we used motor boats to watch the sunrise opposite the city’s famous ghats. 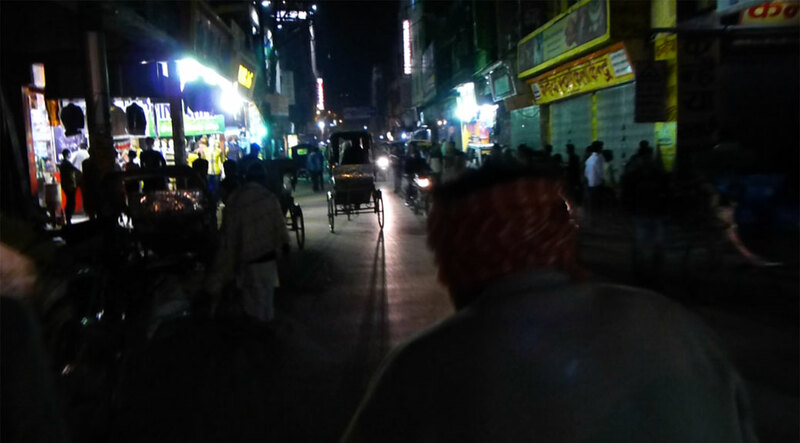 Riding a bicycle rickshaw in the streets of Varanasi, India. 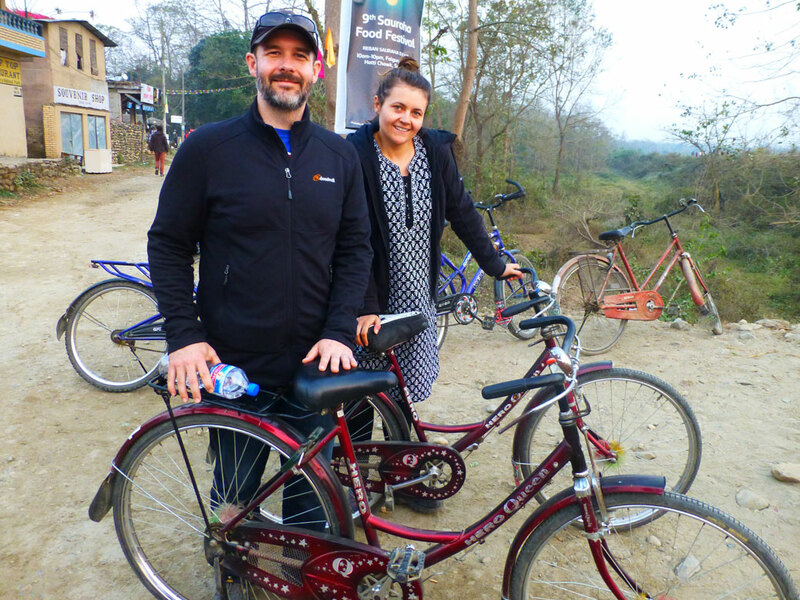 We felt bad having another human being peddle us around, but it was better than having to walk back to our hotel. 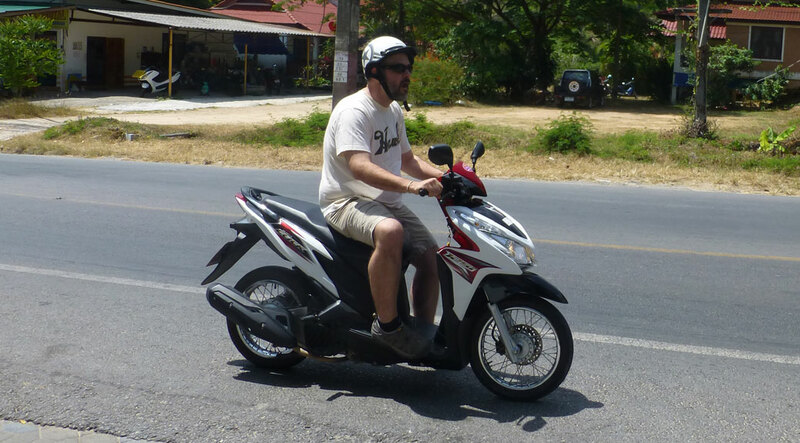 In Koh Samui, we rented a scooter for the day and poked around the east side of the island. 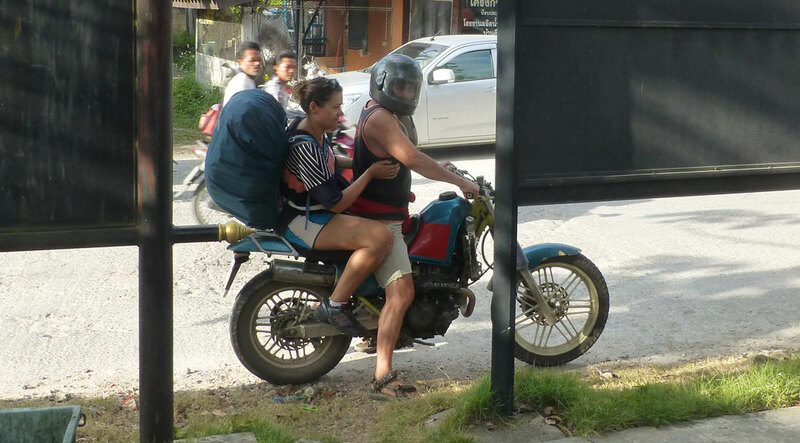 Later, in Nakhon Si Thammarat, we rode on the back of scooter-taxis to our songthaew to Kiriwong Village. 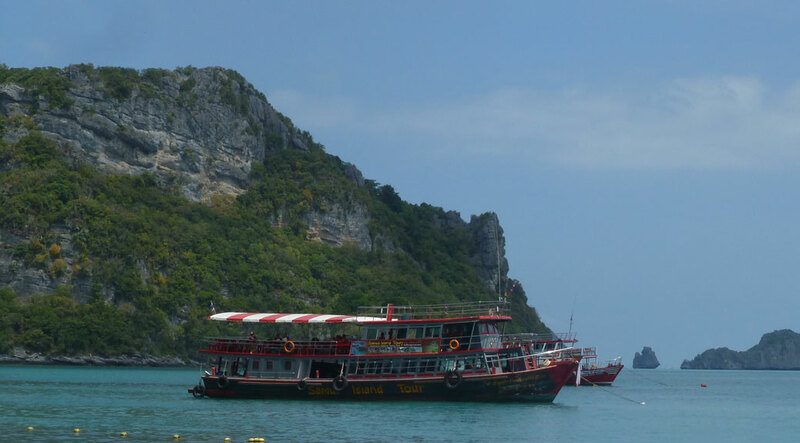 To reach Thailand’s Angthong National Marine Park, you have to catch a ride with a tour boat. 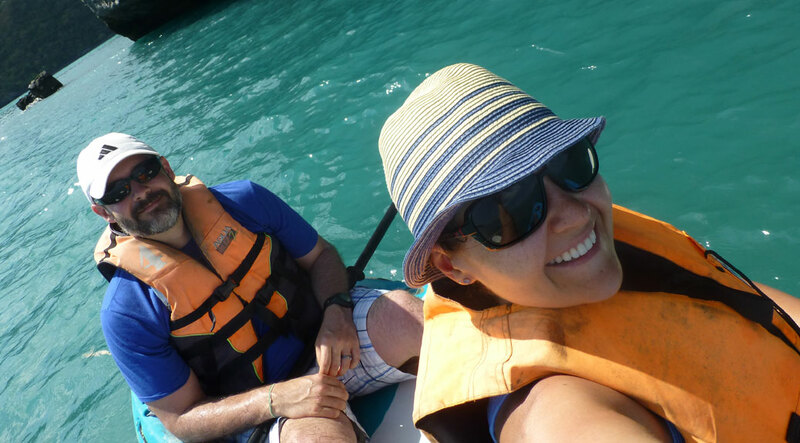 We camped on Angthong’s main island for a couple nights and returned with another boat. 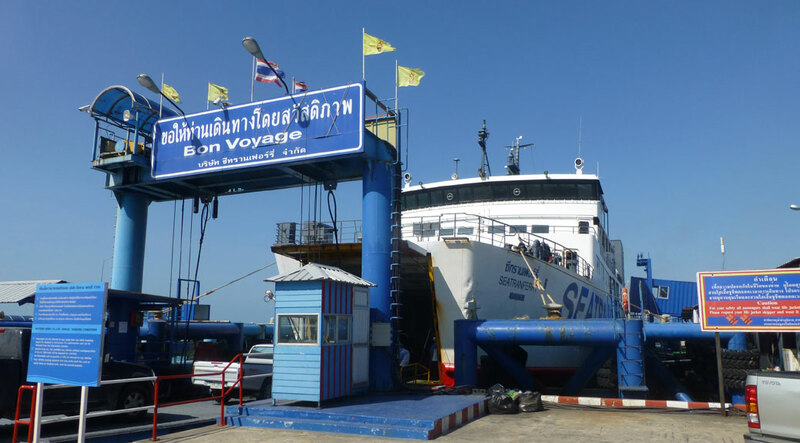 We finally pried ourselves off of Koh Samui and took a large ferry boat to the mainland. Dozens of cars sat below deck. 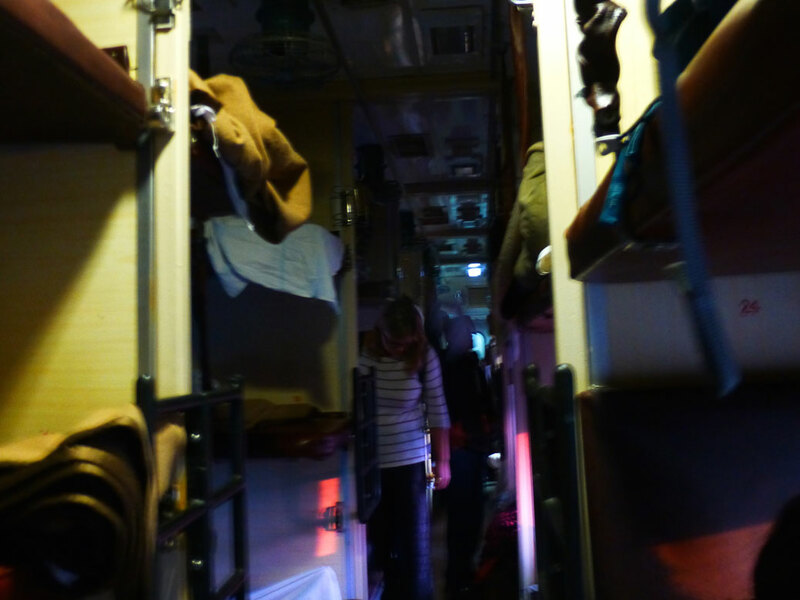 Above deck, comfy seats, televisions, massage services and a convenience store were available for passengers. 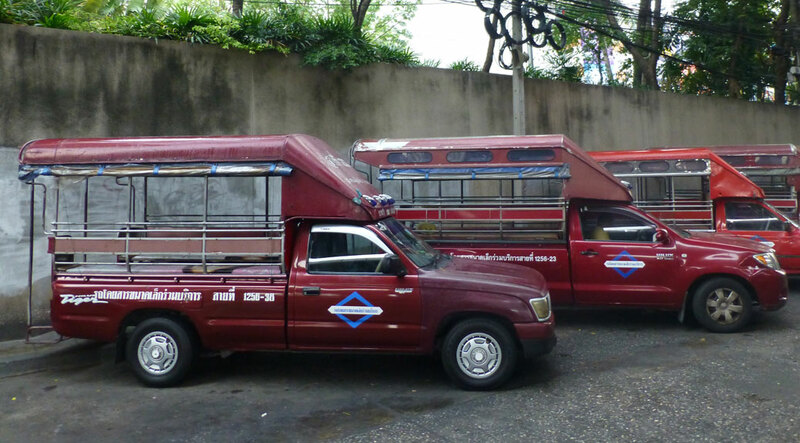 Songthaew‘s are one of Thailand’s primary public transportation methods. The modified pickup trucks stop along fixed routes and have padded benches in the covered truck bed. 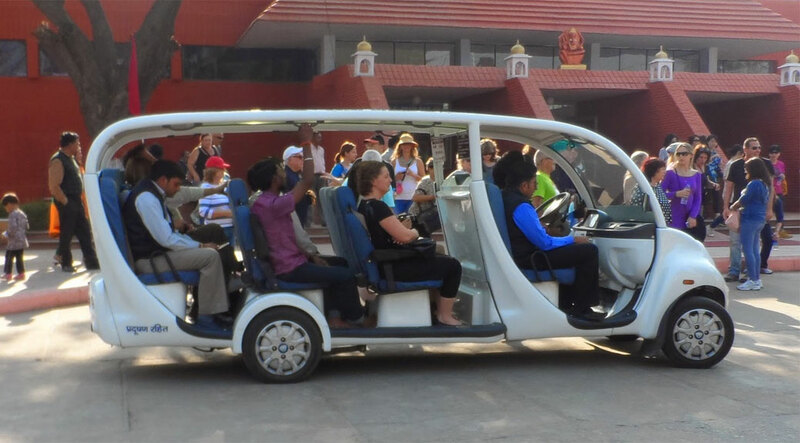 People hop on and off along the route. 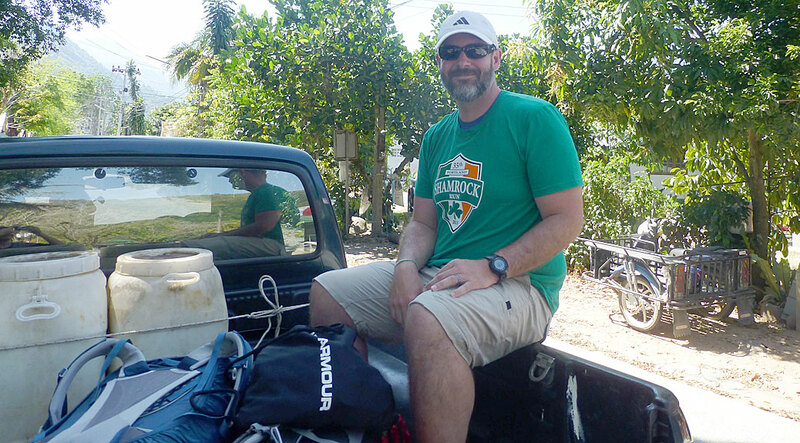 Twice we rode in the back of a pickup truck. 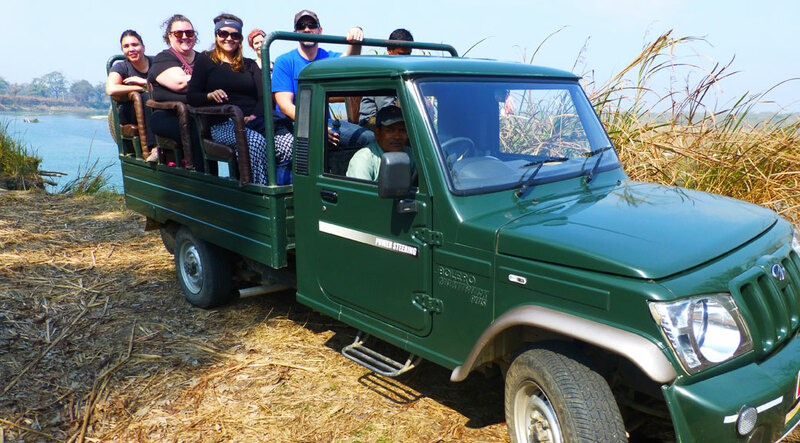 In Kiriwong Village, Thailand, a Thai from Krabi helped us set up our homestay lodging and gave us a ride to the house. 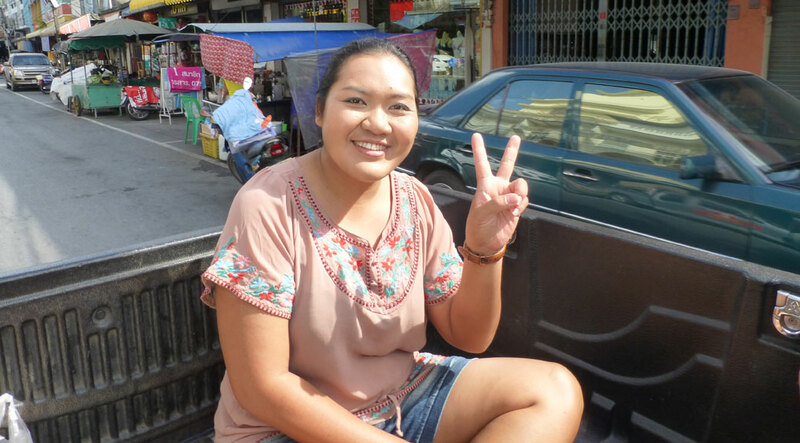 In Nakhon Si Thammarat, a woman named Joon helped us make change for our songthaew fare, then went out of her way to give us a ride to our hotel in the back of her pickup truck. Her mother was driving and stopped for a snack along the way while her two daughters enjoyed their 7-11 Slurpees. 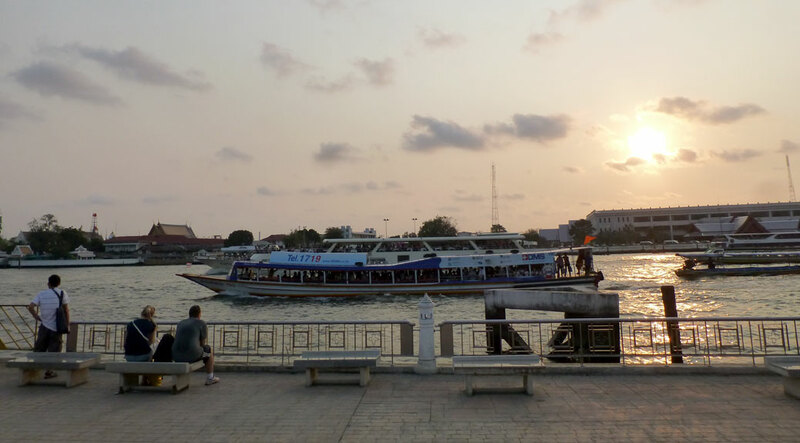 In the old part of Bangkok, water taxis run up and down the Chao Phraya River, dropping passengers at the big tourist spots. 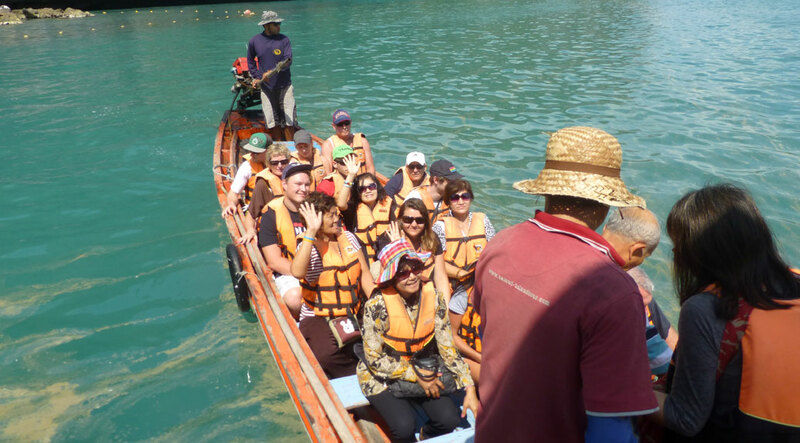 They’re crowded and the boat attendants do a lot of yelling and pushing. 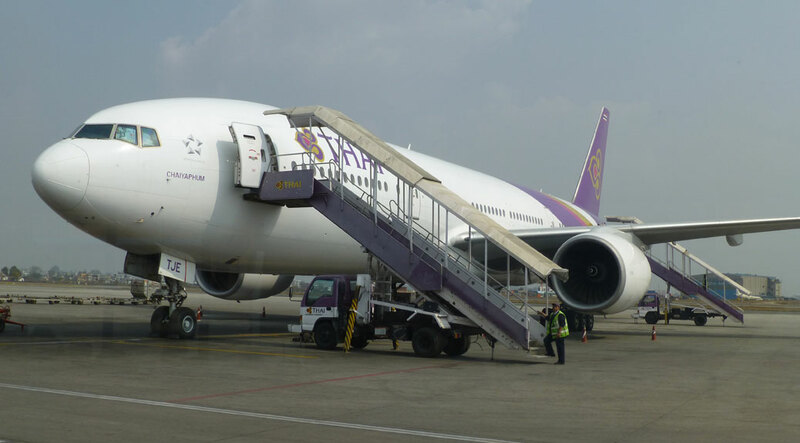 What’s the craziest method of transportation you’ve ever taken in your travels? Leave a comment below!